At one end of the cell-phone spectrum, you’ve got your bargain-basement phone—you know, one with a black-and-white screen, number keys from “one” to “10,” mute and volume buttons, and not much else. At the other end lie the latest, feature-packed smartphones, armed with mammoth color touchscreens, high-resolution cameras, full-on keypads worthy of a typewriter, brains the size of yesterday’s supercomputers, and price tags to match. 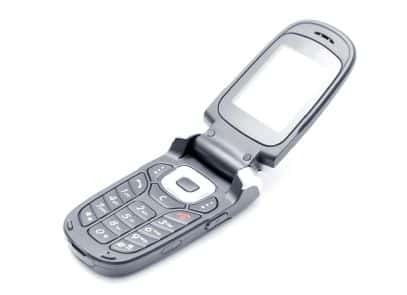 But there’s also another category that tends to crop up whenever you go cell-phone shopping: the mysterious, so-called “feature” phone. OK, so what’s a feature phone? Are we talking some kind of middle-of-the-road cell phone, with some of the fancier smartphone features (like full QWERTY keypads and video cameras), or maybe a basic phone with a dash of style (like flashy colors or slim profiles)? What’s the deal? Well, here’s the thing: A “feature” phone is a label used by many cell phone carriers to describe just about any phone that isn’t a smartphone—including everything from the most basic, bottom-of-the-line handsets to fancier phones with music players, camera, and even touchscreens. So, what defines a “smartphone,” then? These days, we think of smartphones as handsets that run on a mobile “platform” like Apple’s iOS (for the iPhone), Android (which powers phones like the Motorola Droid), BlackBerry, Microsoft’s Windows Phone (or Windows Mobile, as it used to be called), Web OS (from HP), and Nokia’s “Symbian” operating system. These “platforms” are basically scaled-down versions of desktop operating systems, like Windows on your PC or Mac OS for the MacBook or iMac. They can run sophisticated applications (or apps) and games with 3-D graphics, as well as get regular updates that add new features (like voice commands or turn-by-turn driving directions) to the handset. If your phone doesn’t run on any of those platforms (and if you’re not sure, ), then it’s probably a “feature” phone—even if it comes with such bells and whistles as a color touchscreen, a video player, a high-resolution camera, downloadable games, or even a full-on QWERTY keypad that slides out from beneath the display. At the end of the day, of course, it’s the carriers who decide what’s a “feature” phone and what isn’t—a key distinction when it comes to your monthly cell phone bill. While smartphones typically require pricey wireless data plans, on the order of at least $25 a month, “feature” phones will let you browse the web, post to Facebook, and check your email for as little as $10 or a month—or you can even skip the data plan altogether if you only want to use your phone for phone calls (imagine that). Got more questions about “feature” phones versus smartphones? Let me know!